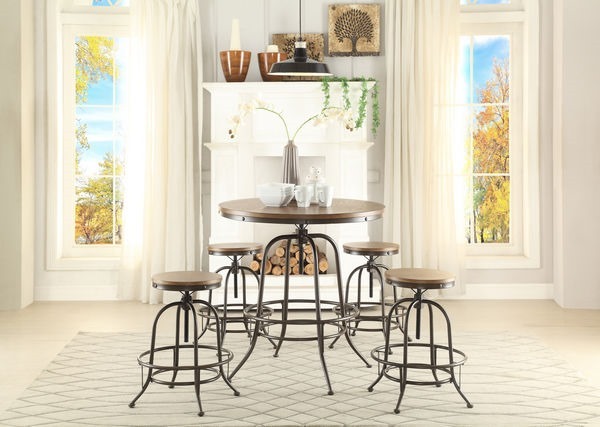 Following the trend of modern industrial inspired design.Metal framing provides support to the rectangular counter height table with built-in wine rack and WHEELS. Turning the seats of the stools allows for quick adjustment to counter or pub height There is also a stool available with a back. 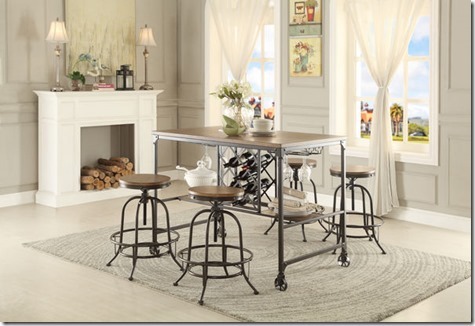 Use the table many different ways – as an island, buffet, serving table, or with either of two matching stools. 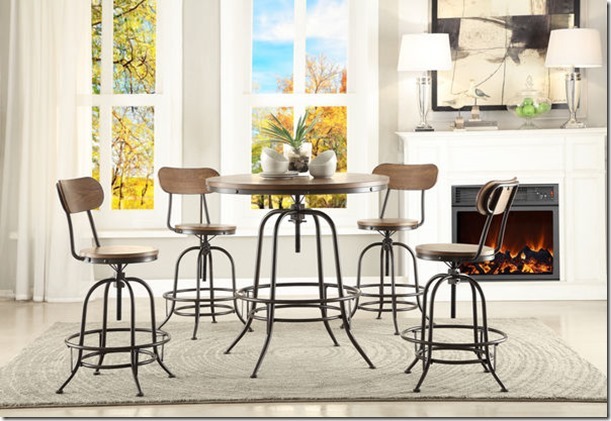 Table is ON SPECIAL NOW $245 / backless stools ON SPECIAL NOW $65 EACH. 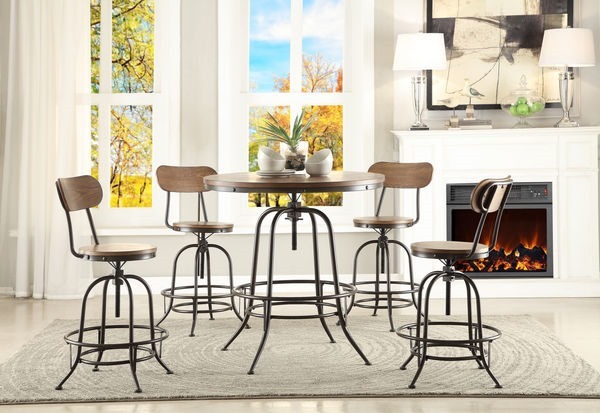 36″ round table adjusts from counter height to pub height ON SPECIAL NOW $229. 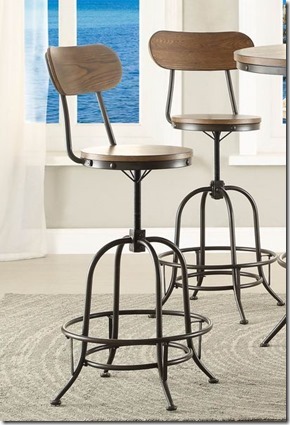 Barstools with backs adjustable from counter height to pub height. ON SPECIAL NOW $85 each.